This is a funny page for me to be writing. I never thought I’d sell anything to anyone! I was a reporter, y’know. But as I’ve gained experience as a freelance writer and blogger, I’ve encountered some great tools and training opportunities that can really help writers earn more in today’s new-media world. Since that’s what this blog is all about, I’m proud to recommend the products below. My policy: I only recommend products and services I have personally used or thoroughly reviewed. The books and tools below are all created by mentors and teachers I really trust. I’ve used them, loved them, and they helped me build my business. If you click on the product links below, I will get a commission. I have some affiliate links in my blog posts, too. Want to be up-front about that. Tired of not having a writer website, or of having one that gets you zero clients? Let’s change all that. Created by the presenter of our Build a Writer Website That Works bootcamp, Keira Dooley (she also designed my own blog and the Den! ), FolioSetup gives you a proven-to-convert template in a package with great mobile-responsive themes, easy drag-and-drop features, full support and site hosting, to help you focus on what you love — writing. I basically begged Keira to create this custom solution for creative solopreneurs like us, just for my community, after seeing other portfolio and writer-site solutions I’d recommended over the years go downhill in terms of the quality and support they offer. So far, FolioSetup is in beta and only available to my readers. Is getting your writer website done an obstacle to launching your freelance writing career — or to landing better clients? If so, recommend you avoid wasting thousands of dollars and months of your time creating a site that may not even convert well — and check out the proven solution: FolioSetup. My experience: In 2010, Jon Morrow noticed one of my articles on Twitter and asked me to guest post on Copyblogger, where he’s associate editor. He worked with me on my first guest post for them, and I do mean worked…I actually ripped up the first try on his advice and wrote a whole new one. Which, with his guidance, went on to get over 1,000 retweets and be included in Best of Copyblogger 2010. Which is my long way of saying: Jon Morrow is a genius when it comes to blogging. Did I mention he literally wrote the book on how to write Internet headlines? Yep, he wrote Copyblogger’s famous Headline Hacks report. So when I found he was doing a year-long course on creating a blog that earns for you on autopilot, I thought…wow. He worked with me once, for like an hour — and it seriously changed my life. I can’t even imagine what would happen to your blog if you worked with him for that long! If you’d like a taste of what he can teach you, check out Jon’s free webinar and road map to growing your blog income. My experience: OK, this is embarrassing. But until around 2011, I had no real bookkeeping system for my freelance writing business. I wrote my assignments down in a Word document, and I threw them into another part of the document when they got paid. I know! 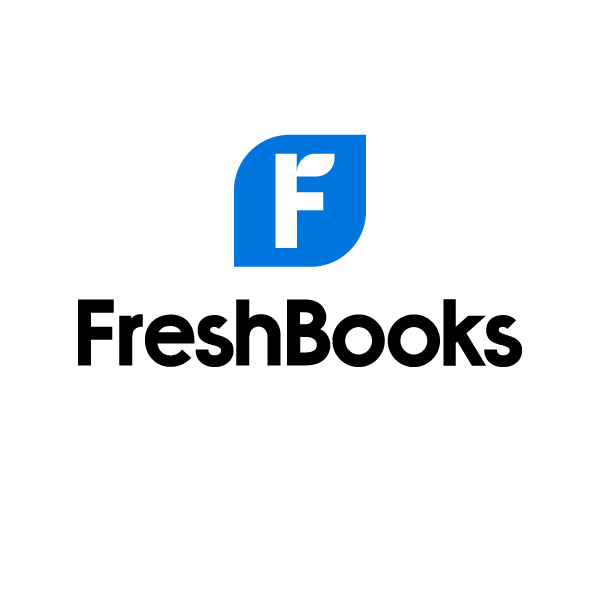 Thankfully, a writer-friend introduced me to Freshbooks. They let you get started free for your first few clients, so you have a chance to try it out and see if it’s for you, which I really liked. If you decide to use it, Freshbooks is low-cost, and it’s intuitive and easy to use. And man, does it make my invoices look a heck of a lot more professional! I was just sending lame Word document attachments before. When you’re a freelance writer, you need a website — a writer website, or a home for your blog. Or both. Otherwise, it’s like you’re invisible. I’ve been talking to freelance writers for a decade now about their web hosts, and I hear a lot of complaints about service (or lack of it) on most of the big-name platforms. Know the ONE place I only hear good things about? BlueHost. As you can see from that graphic, BlueHost is also dirt cheap, and offers 1-click WordPress installs. Also, Smart Passive Income’s Pat Flynn, who I think is superb, recommends BlueHost. So that’s another big vote for BlueHost in my book. My experience: Another confession: When I started my blog, I didn’t know you wanted people to subscribe. Yep. I really started from zero. Once I learned how important it is to stay in touch with readers through an email list, I quickly discovered you can’t email a big list from inside your regular email program — it gets blocked. It also looks like crap. You need a pro email provider so that you look pro to your blog readers. The premium provider, Aweber, was way too intimidating for me — and you have to pay from the start. Mailchimp is free for the first 2,000 subscribers. So as far as I’m concerned, every beginning blogger should be on it! You have nothing to lose by giving it a try. Now, email marketing is one of the easiest parts of my life as a blogger. Mailchimp gives you super-easy tools for creating and replicating campaigns and autoresponders (they’ll teach you what those are if you don’t know). It’s a snap to create an RSS campaign that sends out your blog posts. There’s tons of helpful support on email and in their forums and other materials. You can make your campaigns look just the way you want and change them in a minute flat. Finally, their help desk is super-responsive. I think they feed them extra bananas. Don’t have enough time to promote your blog posts on social media? I feel ya. We writers create amazing, useful posts, and then often move on to writing the next post. So our posts don’t get the readers they deserve. Who has time to sit on Twitter all day? Recently, I discovered something that can really help. Missinglettr is a simple, affordable marketing automation tool that lets you quickly set up 9 customized, varied re-shares of your post on several different social-media platforms of your choice. Then, they’ll get shared again over the course of a year on a schedule you set, and send you new readers. Missinglettr has allowed me to stay active on more social sites, with just a few minutes of setup for each post. If you’re not getting the social buzz you want, recommend you try this out! Like many online tools I love, you can try out Missinglettr for free.